Remote work is both lauded and derided across the world of work. We examine five insights from one of its strongest advocates. 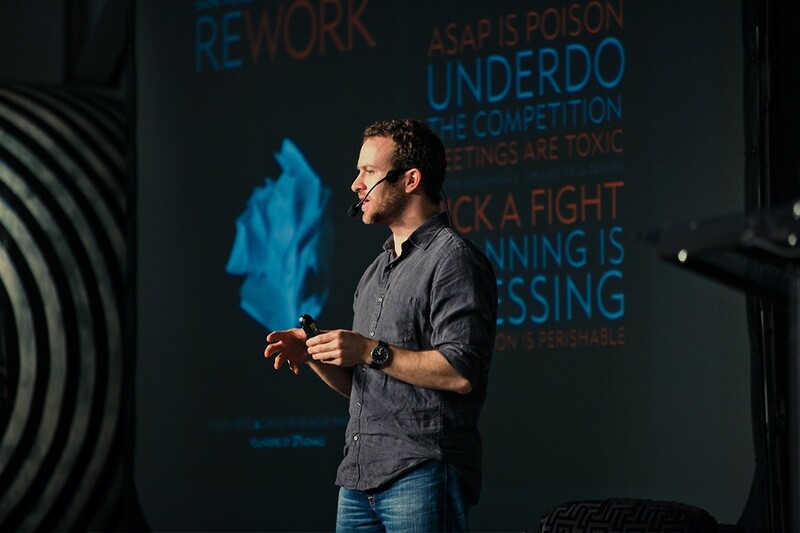 When it comes to business, Jason Fried is a man you want to listen to. The co-founder and CEO of Basecamp has been profitably selling software for a quarter of a century. At the age of 32, he sold a stake in Basecamp to Amazon CEO Jeff Bezos and became a multi-millionaire in the process. 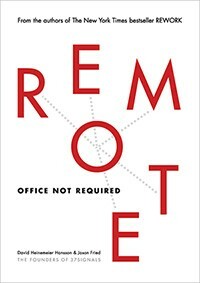 He has since written several successful books including the New York Times best-seller Rework as well as Remote: Office Not Required. Fried is known for his innovative ideas on design, entrepreneurship, software and management – chief among them his advocacy of remote work. He is a vocal critic of the open workspace and insists that remote jobs allow for far more productivity than office-based roles. Fried’s TED talk on why work doesn’t happen in the office offers a number of enduring insights on the value of remote work. We discuss the highlights below. Where do you go when you really need to get something done? Fried has been asking people this question for 10 years and has found three common themes among the answers. People generally reply either with a place (the spare room, the basement, the coffee shop, the library), a moving object (the train, a plane, a car) or a time (“it doesn’t matter where I am, as long as it’s early in the morning”). People almost never say the office – and yet most businesses eschew remote work in favour of a physical office with all the cost and effort that comes with it. You can’t ask someone to think deeply about a problem in 15-minute slots, but that’s precisely what happens in the office, says Fried. There is no work day anymore; no long stretches of interrupted time. Instead, the day is carved up into ‘work moments’ punctuated by frequent interruptions (meetings, email, gossip and chat). In the office, it’s not uncommon to reach 5pm and realise that you did no meaningful work, says Fried. Remote work on the other hand allows for long stretches of interrupted time, which are necessary for thinking deeply and considering problems carefully. Work, says Fried, is like sleep in that they both progress in stages. When something wakes you in the night, you don’t simply close your eyes and pick up where you left off. Instead, you have to go through the different stages of getting back to sleep. If you’re awoken again, you have to repeat the same process. Some mornings, you might wake up and even though you have slept, you know it wasn’t a good night’s sleep because of the interruptions. Work is the same way, says Fried. You can’t simply pick up where you left off; you have to go through the stages of getting back into deep focus. Remote work reduces the number of external interruptions thereby increasing productivity and focus. What do you find in the office that you don’t with remote work? Managers and meetings, says Fried, citing them as two of the most pernicious forces in the workplace. He is equally scathing about the meetings called by managers, describing them as “toxic, terrible, poisonous things” and highlighting that “you would never see a spontaneous meeting called by employees”. While Fried is clear that remote work is more conducive to productivity, he recognises that most companies are still wedded to the physical office. He suggests three actions to emulate the benefits of remote work. First, establish a “No-talk Thursday” in the business whereby employees are not allowed to interrupt their colleagues. Second, encourage passive forms of communication. Instead of tapping a colleague on the shoulder, an employee can send a message via email or a collaboration tool which can be checked when the recipient is ready for interruptions.